A former Hot Rods skipper will return to Bowling Green this year to manage the team again. Reinaldo Ruiz will manage the Hot Rods after serving as skipper of the High-A Charlotte Stone Crabs last year. The Stone Crabs went 74-62, which is the second-best record in the team’s history. Last year’s Hot Rods manager, Craig Albernaz, is moving into a role as a minor-league coordinator in the Tampa Bay Rays organization after leading Bowling Green to its first Midwest League championship title in 2018. 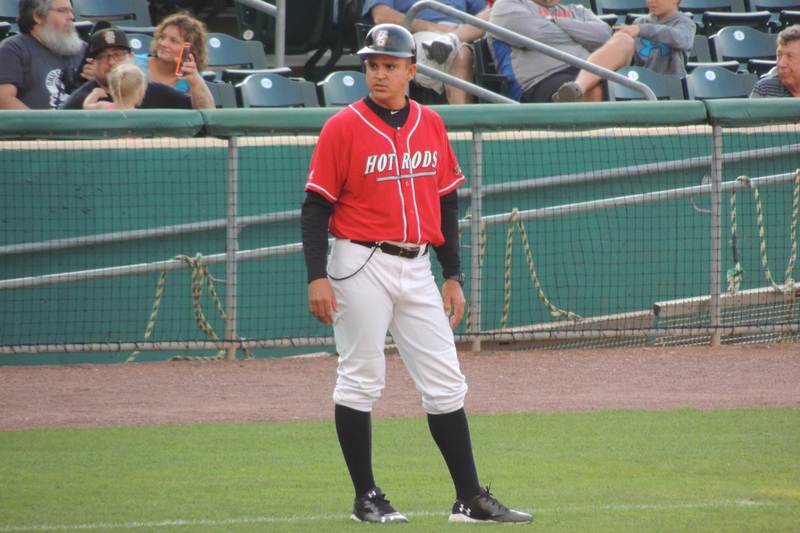 Ruiz previously managed the Hot Rods from 2015 to 2017, and was originally assigned to Bowling Green again last year before being moved up to Charlotte in late March after the previously-announced Stone Crabs manager took a medical leave of absence. Ruiz, now in his 10th season as a minor-league Rays coach, guided the Hot Rods to playoff appearances in 2015 and 2016. The rest of Bowling Green’s coaching staff are returnees from last year’s championship team. Brian Reith, a former Cincinnati Reds pitcher, begins his second season as pitching coach for the Hot Rods. The Fort Wayne native played professional baseball for 13 years, and made five starts for the Dayton Dragons in 2000. He went 2-1 with a 2.88 ERA, 30 strikeouts and eight walks in 34.1 Midwest League innings. This will be Manny Castillo’s seventh season as a Hot Rods coach (2010-13, 2016 and 2018). Castillo played professional baseball for 16 years, including the 1975 season in the Midwest League. (He batted .325 with 1 HR and 34 RBI in 68 games with the Wausau Mets.) He also played in 236 major-league games, mostly with the 1982-83 Seattle Mariners. This will be Jeremy Owens’ second season as a coach for the Hot Rods. His playing career included 129 games with the 1999 Fort Wayne Wizards, for whom he batted .281 with 9 HR, 66 RBI and 65 SB. This entry was posted in 2018 Playoffs, Bowling Green Hot Rods, Charlotte Stone Crabs, Dayton Dragons, Florida State League, Fort Wayne TinCaps, Midwest League. Bookmark the permalink.